A group representing 87 charter schools has sued the Philadelphia School District over a policy it says will hamper charter operations. In this file photo, protesters railed against the policy. A nonprofit that supports charter schools filed suit Thursday against the Philadelphia School District, saying the school system's new policy unfairly and illegally restricts charter-school operations. Excellent Schools PA says the policy, passed by the School Reform Commission on March 22, will require charters to seek approval from the district for virtually all changes to their curriculum and imposes illegal enrollment caps. In Pennsylvania, charters are privately managed but authorized and funded by local school boards with public money. A coalition of 60 charter schools had opposed the policy. The group says its suit is on behalf of all 87 of the city's charters, which educate 70,000 students — a third of all those in public schools in Philadelphia. The charter policy has been a sore subject in recent months, drawing protesters who say it represented an overreach on the district's part. The district is supposed to be a "neutral arbiter" toward charter schools, "not to micromanage their operations," said Stephen DeMaura, executive director of Excellent Schools PA.
Of the new policy, "we believe the main purpose is to restrict the operations and growth of charter schools, not improve the outcomes of children," DeMaura said. Estelle Richman, chair of the School Reform Commission, said in a statement that the revised policy "provides a new and clear avenue for charter schools seeking midterm amendments," through "a transparent and predictable process that will benefit students, families, and charter schools. "This lawsuit is a distraction and would stop those charter schools who have already begun to submit amendments dead in their tracks," Richman said. The suit says that four provisions of the policy violate state law: one that applies to changes in charter facilities and others that spell out district oversight of charter curriculum; enrollment caps; and allow the district to consider the financial impact of charter amendments. It is "well settled" in Pennsylvania that a school district's financial considerations can't be the basis for deciding whether to allow charter schools, the suit says. In allowing the Philadelphia School District to consider the financial impact in granting charter amendments, the policy "could provide a blanket reason for the district to routinely deny any requests," especially those seeking to add grade levels or expand enrollment, the suit argues. District officials have defended the policy, saying that they do not intend to oversee day-to-day operations of charters, but that they are required to sign off on major changes in location, mission, or operation in charters, and that the policy targets only those significant changes. The district's previous policy for charter amendments was "fairly evenhanded," DeMaura said. The district moved to change that policy after the Pennsylvania Supreme Court ruled in August that the 1997 charter-school law did not include a process for charter schools to amend their operating agreements. The court said the state Charter Appeals Board did not have authority to settle disputes over amendment requests. 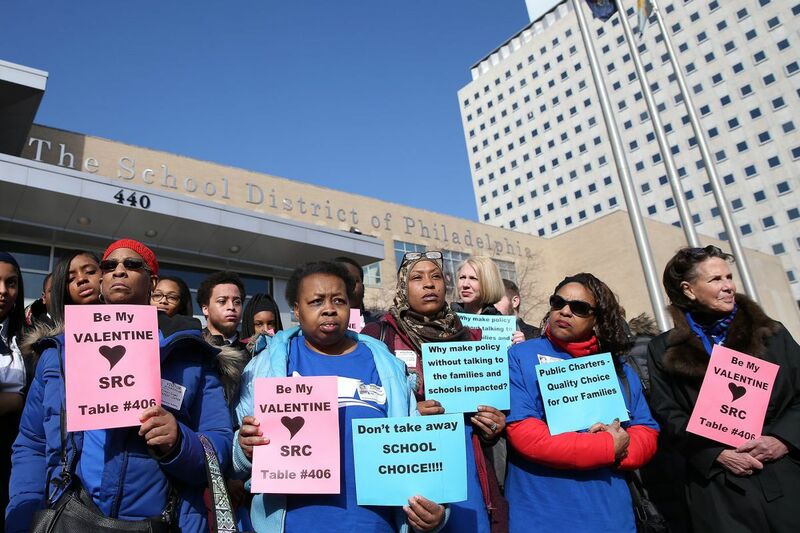 The decision overturned a lower-court ruling that Discovery Charter School in Philadelphia's Parkside neighborhood could take its case for increasing its enrollment by 70 percent to the state board because the School Reform Commission had not acted on the request. Charter schools "had no clear and predictable way" to amend their charters until the district revised its policy, Richman said. "This limited charters in their ability to improve educational opportunities for Philadelphia's public school students." While the suit asks the court to block the policy from taking effect, the new school board, which takes over July 1, could also address the issue, DeMaura said. "Our hope is that the new school board takes a look at this policy, and maybe makes changes to reflect our concerns," he said.